At any rate, this doujinshi was edited by Melfra and Zippy, translated and typeset by yours truly, and QC’d by… Approximately no one but myself. Good lord. Let me know if there are any errors so I can cry about it when I go to sleep tonight and burn rubber trying to fix it before work tomorrow. HAH. 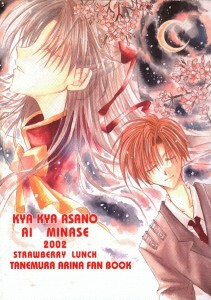 1 Comment on "The Twelve Days of Doujinshi, day three: Strawberry Lunch 4"